Spurs coach Gregg Popovich announced during Friday’s shootaround that the second-year guard will be out for up to two months. White was already ruled out of the preseason finale on Friday with the Orlando Magic. White injured his heel during San Antonio’s 130-127 preseason loss to Atlanta on Wednesday. He had 15 points, six rebounds and three assists in 29 minutes. White’s injury caps an injury-filled week for the revamped backcourt. 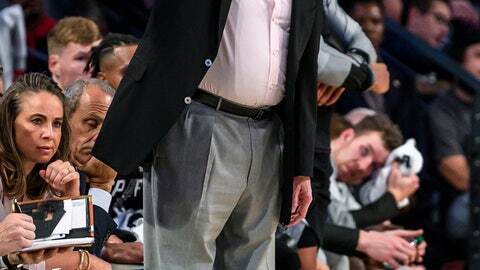 The Spurs lost Murray to season-ending surgery after his knee buckled Sunday against Houston. Rookie Lonnie Walker IV will miss at least six weeks after sustaining a knee injury last Friday. Patty Mills is expected to start in White’s place.